The TWINWAVE is a full outdoor system, integrating two radios in a single housing, to provide extremely high speed connections in 17 and 24 GHz unlicensed frequency bands and in 18 and 26GHz licensed frequency bands. 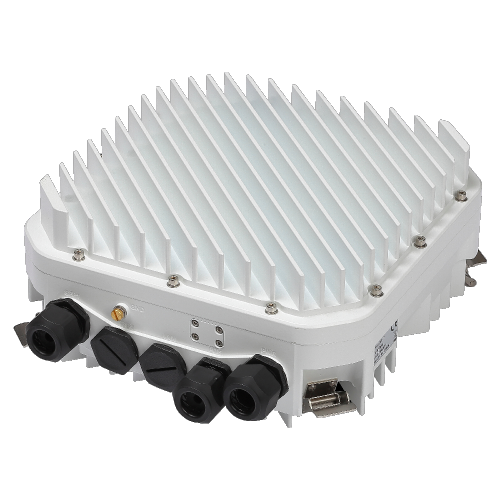 Supporting high-level modulation schemes up to 2048 QAM, combined with ACM and XPIC capabilities, the TwinWave is the best solution available in the market to achieve, in just one compact housing, a reliable and performing GE microwave link. A “real” GIGABIT ETHERNET RADIO, unmatched for costs/performances benefit, TWINWAVE features a very useful value-added function: actually it is the only Full Outdoor Unit able to be connected to a remote Split-Mount system in the same link, ideal situation for last mile connections from towers to buildings. The integrated Dual Channel Modem supports two active radios to aggregate or switch the traffic between the links in cross-polarization. Wideband transmissions are supported with CH BW up to 60 MHz @ 17 GHz and up to 80 MHz @ 18, 24 and 26 GHz, providing a maximum achievable throughput exceeding 1 Gbps full-duplex. Via software keys the user can easily upgrade the capacity to full throughput and implement additional functionality any time in the future without changing the hardware. Complete sort of accessories such as PoE power injectors, cables, surge arresters, etc. are available to provide the turn-key system solution for our customers.